Allium ascalonicum Auct. non L.
Both the shallot and the tree onion are included here. 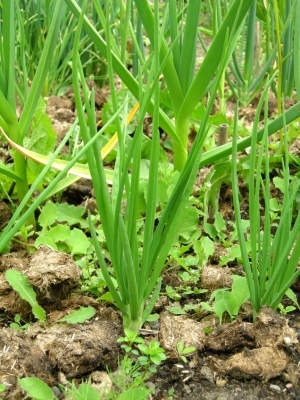 The shallot is still widely cultivated, in gardens and commercially, for its bulbs, whilst the potato onion is little known. ]. Tolerates a pH in the range 4.5 to 8.3. Closely related to A. Oschanini. O.Fedsch., a wild species found in C. Asia. Although rarely used specifically as a medicinal herb, the onion has a wide range of beneficial actions on the body and when eaten (especially raw) on a regular basis will promote the general health of the body.